It’s a bit embarrassing, but I’ve lived in Toronto for over thirty-five years and knew little about Crothers Woods until I wrote The Case for Killing. But I needed a spot for thoughts of foul play and started investigating. It was so new to me that, until the book’s last draft, I called the area “Crowther’s Woods”. Crothers Woods is just northeast of downtown. 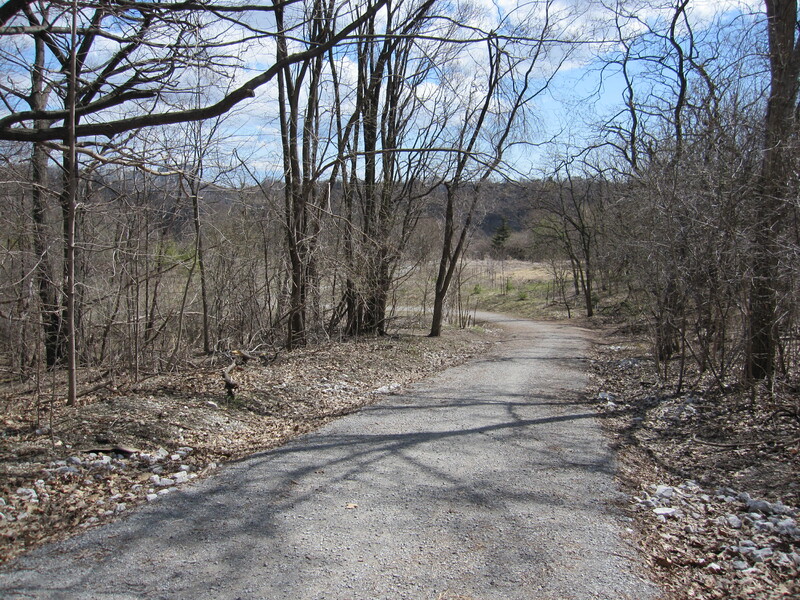 The City of Toronto describes it as a 52-hectare maple-beech-oak woodland (128.5 acres) in the Don River valley. According to the city, parts of the forest remain in much the same condition as before European settlement. Closer to the Don, there are meadows and wetlands. It’s also home to a wide variety of birds. The area is owned by the Toronto and Region Conservation Authority and managed by Toronto’s Parks and Forestry Department. It’s seen a remarkable recovery in recent years. Industry continued to operate there into the 1970s and 1980s, including the area’s namesake, Crothers Caterpillar. 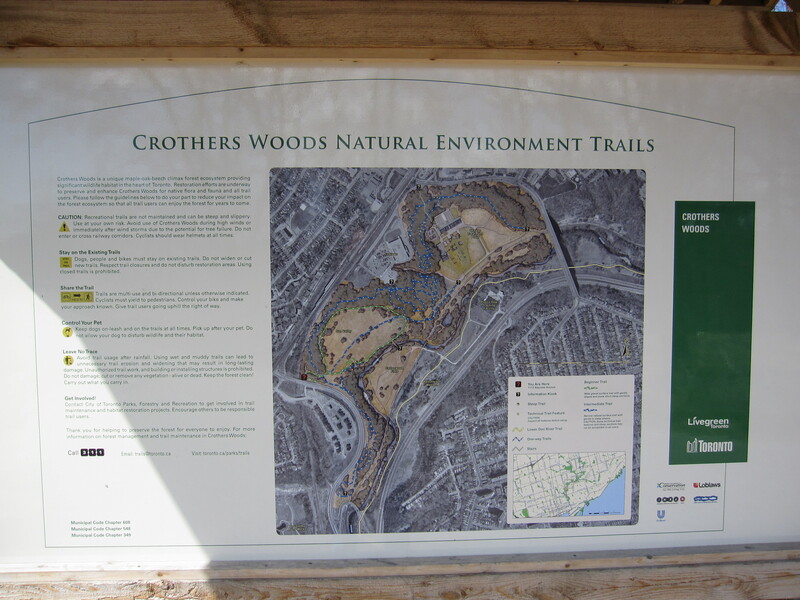 Now, while remaining a bit of a secret, Crothers Woods features about ten kilometres of natural surface trails for walkers, runners and mountain cyclists. For The Case for Killing, the runners interested me most. I imagined a person living in Leaside with a running route down Bayview Avenue, into Crothers Woods and back home via Millwood Road. A running route that could be very lonesome and dangerous. That got me interested in the area of Crothers Woods close to Bayview Avenue. Here are pictures of the sign and trail at the walk-in entrance. Not far from the trail, trouble happens. Next PostNext Should You Publish?